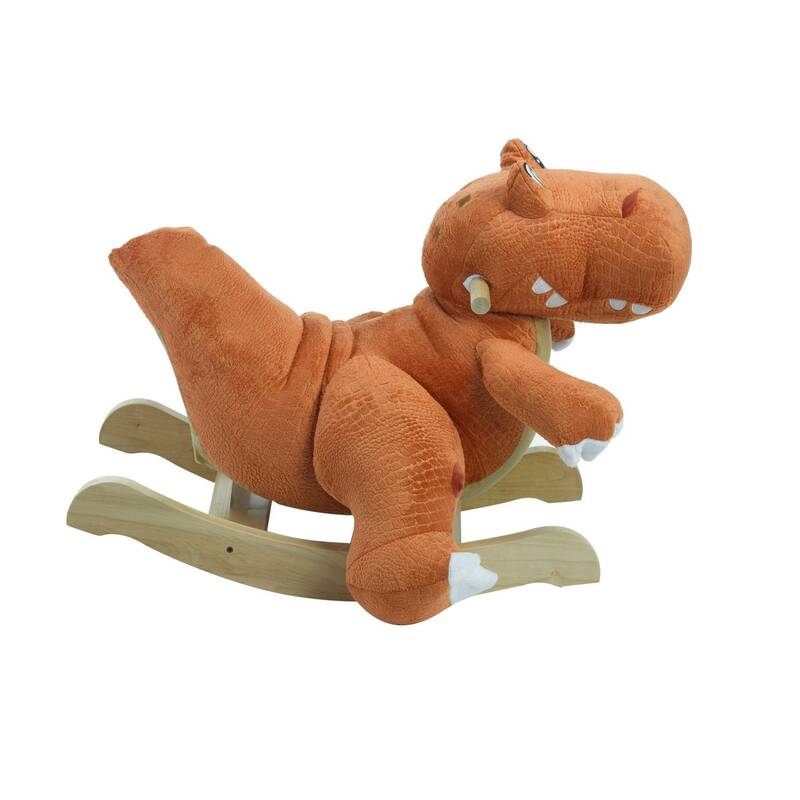 Rex the T-Rex is a fun rocker for your little dinosaur fan. 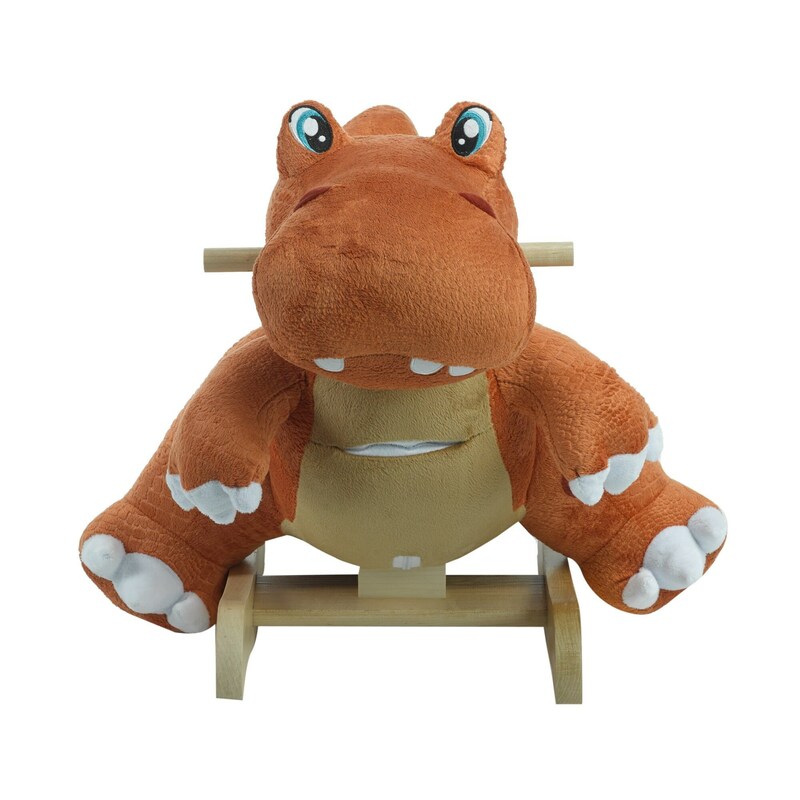 Press the buttons on the back of his head and watch baby giggle as he rocks to songs that are educational. Baby will find 4 shaped buttons that activate original songs that teach ABC’s, 1-10, colors, shapes and more. American maple hardwood throughout... including a maple base, easy grip maple handles and the softest fabrics from around the world. Hidden squeakers and crinkle throughout to surprise the little rider. 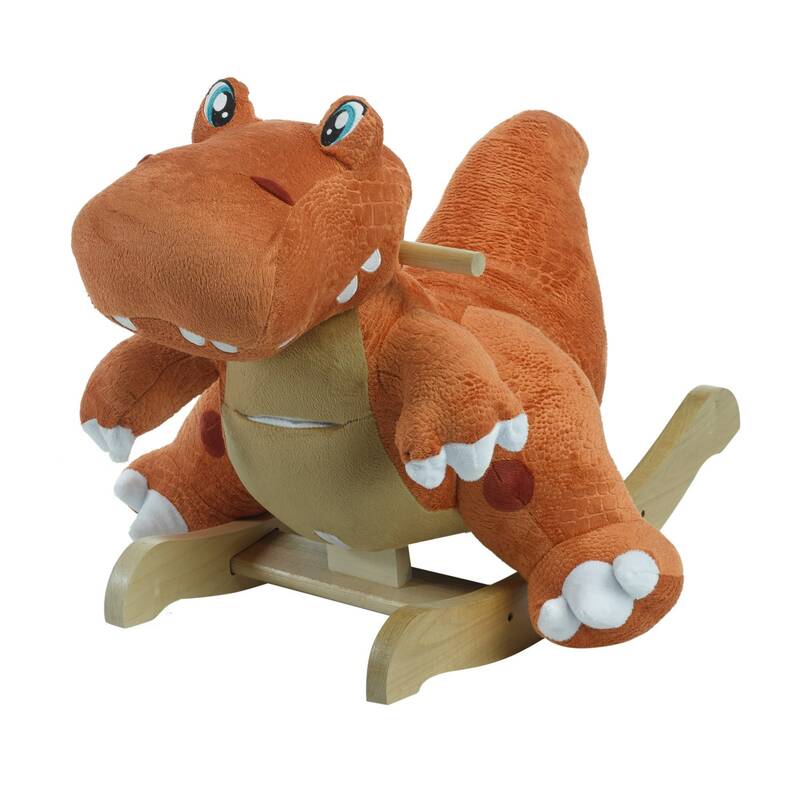 Designed for children 9 months and up and up to 80 lbs. 1. 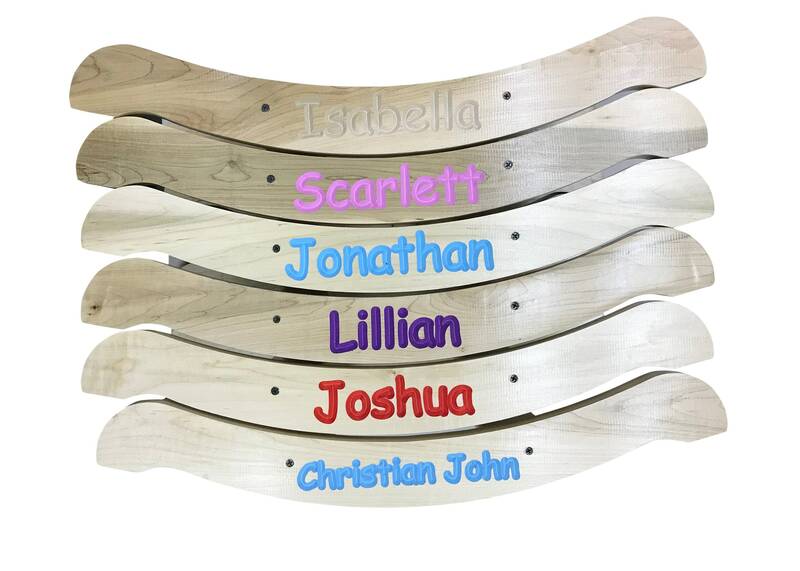 Use the pull down menu to select Engraved or Painted Letters. Enter name in the comments box during checkout. Note: Up to 9 characters is ideal - the absolute maximum is 15 characters but we will not guarantee the result over 9 characters.